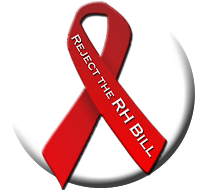 The Catholic Position on the RH Law: Once more with feeling: Yes, there are abortifacient contraceptives! Once more with feeling: Yes, there are abortifacient contraceptives! The following letter was written in 2008 in the context of the RH Bill debates at the time, but remains relevant and accurate. We are a group of friends, all pro-lifers. 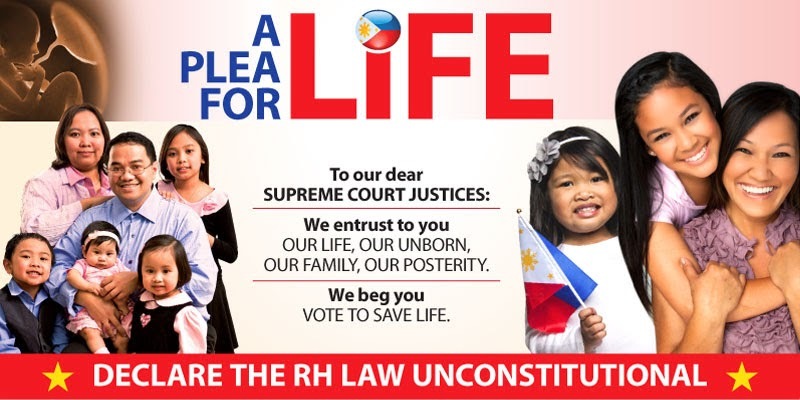 Some of us are private medical practitioners—all faceless supporters of the stand of the Catholic Bishops’ Conference of the Philippines (CBCP) against artificial contraception. 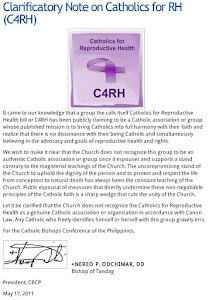 We would like to express our support to the CBCP not by starting another debate but by enlightening readers and, we hope, our legislators as well, regarding this hot topic, from a theoretical standpoint. Oral contraceptives (more commonly known as pills), hormonal injectables and Intra-Uterine Devices (IUDs) are all artificial contraceptives. Unfortunately, most people are not aware that they are, indeed, abortifacient. A review of the various literatures on these contraceptives will show that each of them has an efficacy rate that is less than 100 percent because fertilization (the meeting of egg cell and sperm cell, which leads to the conceptus) is not absolutely prevented. For instance, the IUD does not prevent ovulation and so fertilization may occur several times in the span of time the device is in the womb of the woman. However, most of the fetuses will not be able to implant themselves because there is an “appliance” in the womb that prevents them from doing so. This is why the IUD is abortifacient. In the case of the pill, ovulation and fertilization can still occur and we have seen this in our practice. We have seen patients with abnormal bleeding and positive pregnancy tests despite their taking the pill, which proves that fertilization had indeed occurred. Unfortunately, the pill—whether oral, patch or injectable—renders the uterus hostile to implantation. And this is what makes it abortifacient. Some people pushing for this reproductive health bill may even want to define that life begins at implantation. But even if we all go back to our Biology in high school, life truly begins at fertilization. Catholic or not, should we not all protect life from the beginning to its very end?